The European Commission will redouble efforts to promote EU-based cloud services this autumn – including the urgent drafting of a new charter – amid mounting evidence that the US Prism spying scandal may damage the global market share of US-based tech companies involved in the cloud computing sector. In June and July 2013, the Cloud Security Alliance, an industry group, surveyed members and other cloud computing stakeholders about their reactions to the US Prism spying scandal. One in ten of non-US residents responding indicated that they had cancelled a project with a US-based cloud computing provider in the wake of Prism; and 56% said that they would be less likely to use a US-based cloud computing service. The Alliance predicted that US cloud computing providers might lose as much as €26 billion by 2016, equivalent to the loss of 20% of its share of cloud services in foreign markets. “If European cloud customers cannot trust the United States government, then maybe they won't trust US cloud providers either," said Neelie Kroes, the EU's digital agenda Commissioner. "If I am right, there are multibillion-euro consequences for American companies. If I were an American cloud provider, I would be quite frustrated with my government right now,” Kroes said in July. James Staten, a cloud analyst at Forrester Research, claims that business was at risk regardless of security questions, and believes that US cloud providers will move part of their business overseas to satisfy their international units and customers, adding around €8 billion to the Alliance report total. US-based cloud service providers – including Google, Amazon and Microsoft – currently account for around 85% of global markets. Europeans now hope to use the Prism scandal to win a share of this market. In early July, Neelie Kroes met with the European Cloud Partnership – an initiative which aims to boost European cloud services. Kroes complained that national divergences of data protection rules still stand in the way of a “European cloud”, and called for speedy harmonisation of European standards on network and information security, to ensure that European citizens and companies alike can enjoy the benefits of a trustworthy and secure cloud. Following the meeting in July, the Commission’s European Cloud Partnership is now urgently drafting a charter – which will be prepared in time for the meeting of heads and state and government scheduled for October 22 in Brussels. 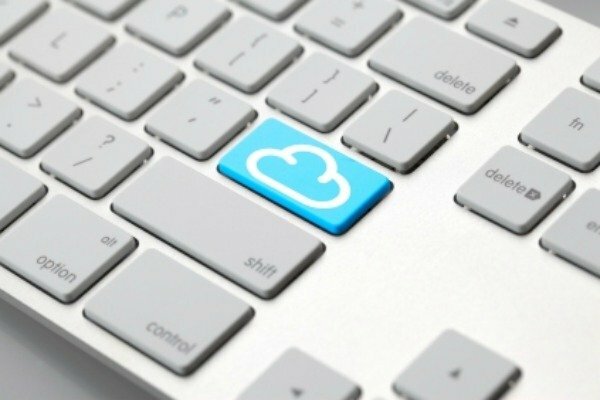 The charter will attempt to create harmonised standards designed to make it simpler for European companies to offer cloud services. In September 2012 the Commission published an EU strategy on cloud computing, amidst ambitious claims that the plan – which aims to move businesses into the cloud – could deliver cost savings of up to €600 billion between 2015 and 2020, and generate up to 2.5 million new jobs. Smaller businesses stood to benefit the most, with forecasted savings of some 10-20% in ICT, due to the cheaper running costs of cloud, according to the strategy paper. The EU’s strategy paper emphasises the potential of cloud computing to act as a driver for cost efficiencies and profit growth – particularly within the SME sector. A number of sensitive policy issues impacting on cloud computing remain live within separate policy initiatives however, including data protection, copyright and environmental concerns surrounding energy expenditure required to cool large data centres. The surveys suggesting that US companies stand to lose put in the wake of the Prism scandal are likely to galvanise efforts to speed up the promotion of cloud services, and the agreement of the charter, this autumn. The issue has also found its way into the German election campaign since Chancellor Angela Merkel recently spoke of the need for Europe to develop its own internet technology. Speaking in Berlin directly before the summer break Merkel said that Europe needed to start competing on the international stage in the internet sector. Cloud computing describes a whole range of infrastructure, software, data or applications residing in the cloud – that is to say, off your own premises and accessed via the Internet. A study carried out by the University of Milan, published in late 2010, estimated that cloud computing has the potential to create 1.5 million new jobs in Europe over the next five years. The sector's turnover worldwide in 2010 was estimated at around €26.7 billion. While businesses and governments wax lyrical about the benefits of cloud computing, EU regulators have been more wary, as further use of cloud systems would mean a large swathe of public and commercial data would migrate to servers possibly located outside national borders or even on other continents. European Internet with a different IP algorithm !? Hmm ! IT wouldn’t be necessary if NARUS STS collect servers would be banned from Northamerica’s Gov & from their Telecom providers AT&T….